Simple Design topics – but what car? Can you stand the Engineering Heat? Scientists and Engineers – on TV! Any old domestic computer emulations? The eternal question: can you answer for it? Neil Armstrong died on the 25 August 2012 aged 82. He had been the first human being to set foot on the Moon on July 20, 1969. NASA paid tribute here. 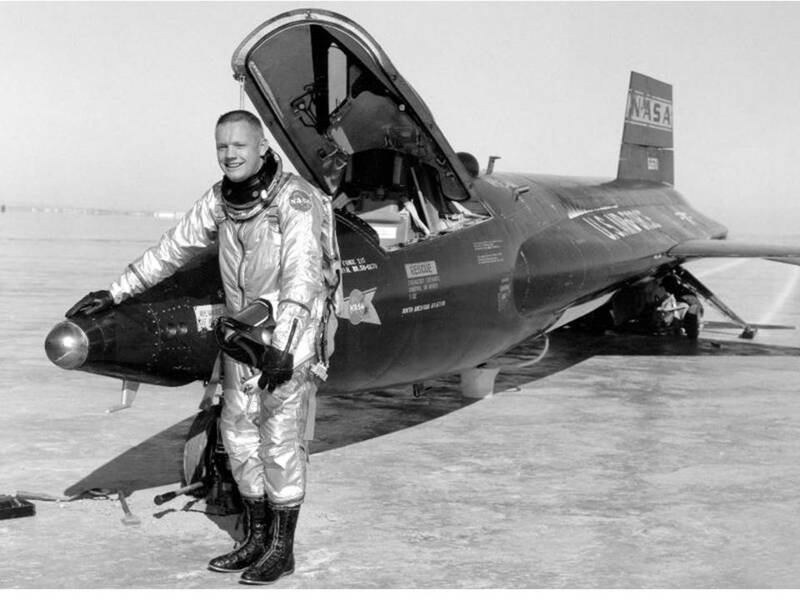 He had earned an aeronautical engineering degree from Purdue University and a master’s in aerospace engineering from the University of Southern California. He flew as a fighter pilot for the US Navy from 1949 to 1952 and during the Korean War he flew 78 combat missions. Early in the Second World War, the then UK Prime Minister, Sir Winston Churchill famously said this. Armstrong was widely quoted in the many obituaries as calling himself just “a nerdy engineer”. Some nerd! Some engineer! Armstrong was a test pilot for the Rocket X 15. Nerds spend their time focussed on some obscure object of their affections, frequently no further than their computer monitor, tablet screen or smart phone. Armstrong though, before the Moon, had been not just an engineer but a test pilot for the X 15 plane at the boundaries of Space. How about that? Most engineers can, and do, only dream of that career. Then he went one better: no, it must be ten better! In this case, it was rocket science. To the Moon. 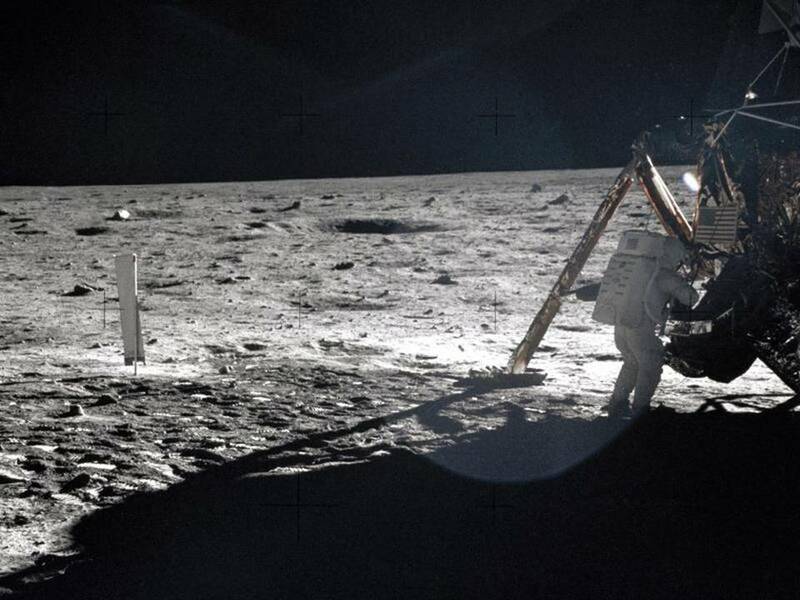 The only good photo of Armstrong on the Moon surface. All other photos were of Buzz Aldrin taken by Armstrong. Nine months after the first Moon landing in April 1970, Apollo 13 had an explosion when it was half way between the Earth and the Moon. Then the wisdom of the choice of each crew member to be a combination of sharp intellect and engineer paid off. The crew returned to Earth safely. Perhaps rather than ‘safely’, that ought to be ‘successfully’: such a gigantically risky voyage, and indeed the preceding first Moon landing itself, can hardly be called safe. Courage there was yes, by the tonne, but also engineering technology as automatic reflex. The ‘nerd’ quote, according to some, also referred to him being “white socks wearing”. Here, The Lad is reduced to incomprehension of this Americanism. How can this become connected to ‘nerdishness’? Answer comes there none. The Lad watched the NASA website on the morning of Monday, August 6th 2012. There was a live feed from the Flight Control Room in Pasadena as the Mars lander Curiosity was finally deposited on the surface of Mars. This was no mean feat, for one reason, as the lander was a vehicle as big as a car. For another reason, several other attempts to put vehicles onto Mars have failed. Students should note that, famously, there was a crash landing rather than a controlled descent cost hundreds of millions of dollars. The cause? The calculations supporting the descent were based on a confusion of metric units with imperial units. Hasn’t every practising engineer suffered something similar? Luckily he or she will not have done it in such a crucial situation or, if so, will have managed to recover the error before disaster was committed to paper or, worse, hardware. Such a risk is exactly the enemy with which the engineer wrestles every day. She or he tries to haul pride out of the successful design of a large or small project. It is a major part of what every engineer does. Then it is not an error in an exam question; it is real. 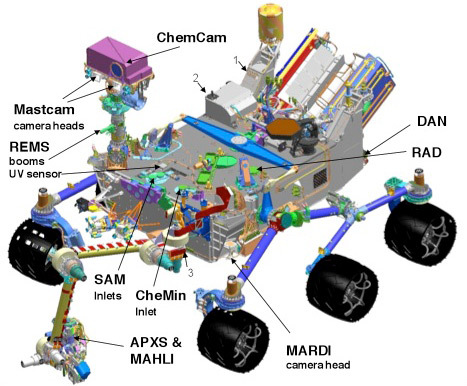 Some of the systems on Curiosity. Courtesy of NASA. One of the most difficult features of the engineering task was communication with the craft as it approached Mars. Quite simply, Odyssey, carrying Curiosity, could hear no radio instruction for 14 mins even at the speed of light and could not return any data, as to what it is doing for example, for the same period. It had to operate automatically, deciding what to do from its own pre-programmed instructions and its own instrumentation resources. Another remarkable difference between this Martian landing and the Moon landings was the engineering of the descent process. These differences were true engineering and not science. 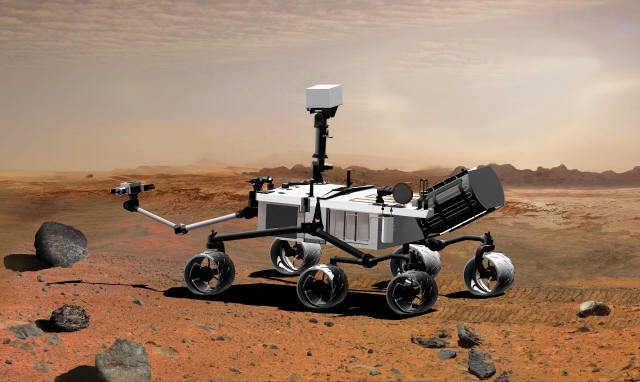 Curiosity was very heavy [nearly 1000kg or one ton] yet needed, with only limited stored energy, to be able to move over the Martian landscape for at least a Martian year. 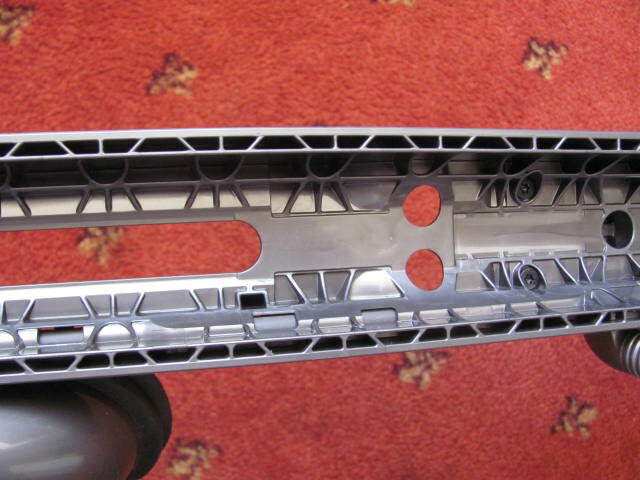 Every part of the vehicle had to be highly efficient in its function with not a gramme to spare. They set the delivery design criterion to limit the landing shock to be no greater than those which they were expecting as it roved over the boulders and pot holes in the Mars landscape. The vehicle would have, inescapably, to be designed to resist these anyway. Curiosity was too massive for gas-filled shock absorbing balloons. 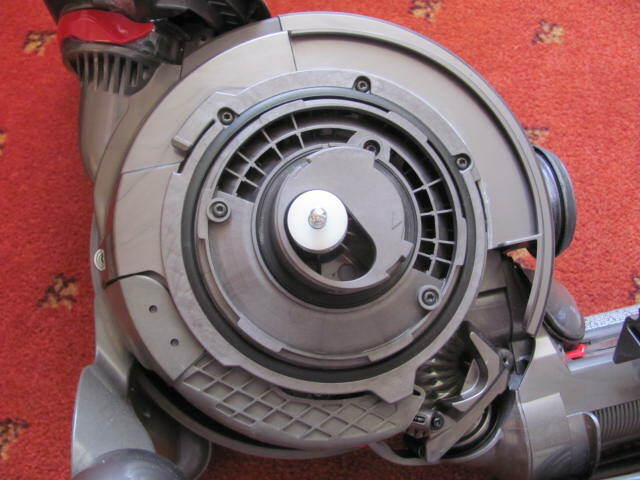 The design engineers could not justify heavy, mechanical, shock absorbers. They would be used only during the landing and be, ever after, dragged around as so much dead weight. How about retro-rockets firing away merrily right down to the surface under the computer control of a modern radar altimeter? The problem with this is that the violent dust storm kicked up would damage or destroy the vehicle control and scientific systems. Their solution is remarkable. In the Entry Descent and Landing [EDL] phase, Mars gravity began accelerating the vehicle, Odyssey, towards Mars at many thousands of miles per hour. But then the resistance of the Martian atmosphere was used to slow it down. It converted the vast, kinetic energy of Odyssey into red heat at the face of the conical vehicle. So far so good; we have done it a thousand times before when bringing craft back to Earth. Trouble is that because the Mars atmosphere is much, much thinner than that of the Earth; we can lose only a relatively small amount of the kinetic energy. So, when it gets to be very low and close to the surface it is still going at a hell of a lick. So a giant parachute is then deployed to slow it down some more. That is alright too, for we have done this successfully many times before on Earth. Then though, we were landing in the sea or had heavy shock absorbers. So what now for the engineers? Now they come to the stickiest bit. Yes, retro-rockets were used to bring the vehicle to zero velocity. The thing is that it was designed so that, when it came to a halt, it was not on the ground. It was several metres above it: here it solemnly hovered too high for the rockets to kick up too much dust. Now break out the Sky Crane. Curiosity left Odyssey and was slowly lowered by nylon rope tethers to the ground. This is how NASA described the process. In the depicted scene, the spacecraft’s descent stage, while controlling its own rate of descent with four of its eight throttle-controllable rocket engines, has begun lowering Curiosity on a bridle. 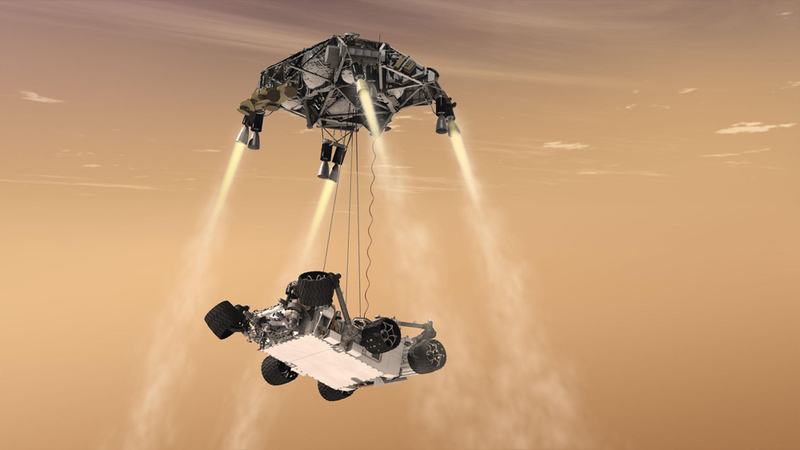 The rover is connected to the descent stage by three nylon tethers and by an umbilical providing a power and communication connection. The bridle will extend to full length, about 25 feet (7.5 meters), as the descent stage continues descending. Seconds later, when touchdown is detected, the bridle is cut at the rover end, and the descent stage flies off to stay clear of the landing site. 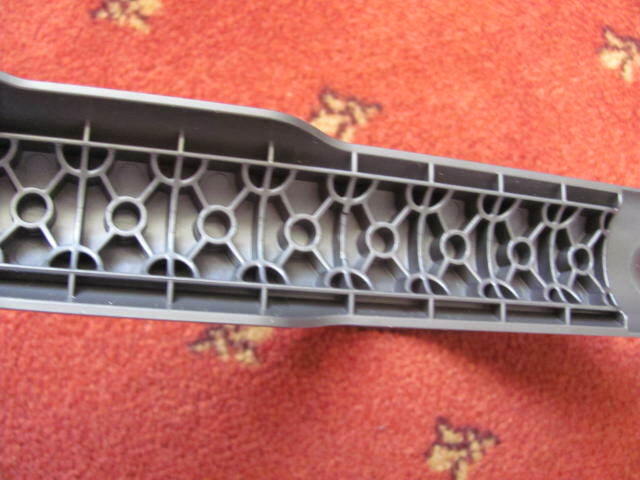 Engineers realise that even the reliable connection and release of nylon rope cannot be a simple task. The risk of a failure needs to be vanishingly small when you are designing a tether mechanism with a billion dollar payload hanging on it. The mechanism MUST work when instructed by a computer after months in space. How would you do it? Then what happens when the rockets of the Sky Crane are expended? Does it simply fall on top of Curiosity? Noooo! 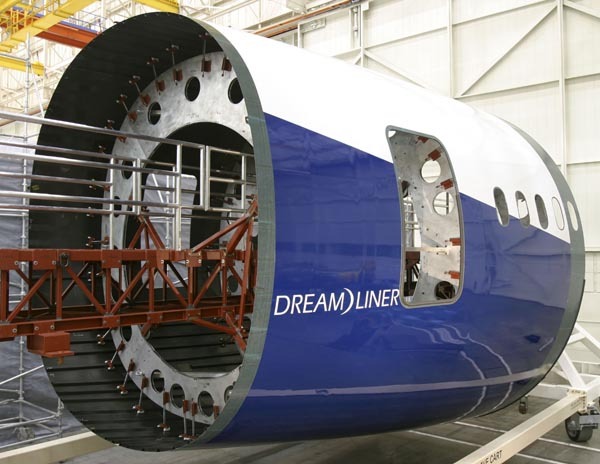 The engineers have designed it to do the ‘Flyaway’ where it scoots off to one side some way away. It is not clear to The Lad however whether, after this, it resembles anything more than a fast-food packet thrown out of a car window. Congratulations to the engineers of NASA and its contractors for an excellent job. So far! They are hoping that Curiosity will not impose the proverbial fate on the NASA cat for many months to come and so is The Lad. The Lad has to thank the NASA website for some of the background. Remember, this post contains only the simplest of discussions of only one of the problems faced by the engineers. Without any exaggeration, there will have been thousands and thousands of other problems and optimisation decisions. This Is Engineering.